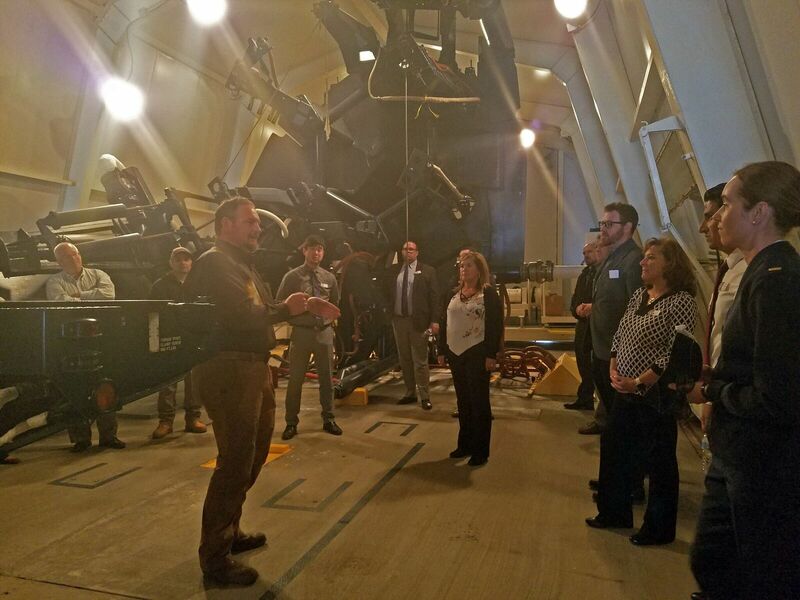 The 2019 class of Leadership Santa Maria Valley (LSMV) started of their year of topic days with a tour of Vandenberg Air Force Base on September 7th. Mr. Michael Stonecypher, from the 30th Space Wing’s Public Affairs Office was our tour guide for the day. After boarding a bus at the main gate, we were taken to the headquarters of the 30th Space Wing and Col. Bob Reeves, 30SW/CV, briefed the class on the history of the base, what has been happening during the past year and some of the plans for the future. Vandenberg AFB is one of the largest bases in the United States at almost 100,000 acres. It began as an Army installation, Camp Cooke in 1941. It was turned over to the Air Force in 1956. Following the briefing, the class was given a tour of Western Range Operations Control Center (WROCC, “The Rock”). The WROCC is the command and control hub of all ballistic, space and aeronautical operations originating from the Western Range. We are able to see how they monitor activity on land, sea and sky during the launch window, as well as how they track the weather which is a deciding factor on whether the rocket will launch or not. From the WROCC we went to the south end of the base to take a look at Space Launch Complex-6 (SLC-6). SLC-6 is the launch pad that was prepared to launch the Space Shuttle before the Challenger disaster changed the course of the shuttle program. SLC-6 is still an active launch pad for the heavier rockets launching from Vandenberg AFB. Our next stop for the day was to tour the Space and Missile Heritage Center. Curator, Jay Prichard, shared with us some of the ground-breaking work that has come out of Vandenberg AFB. The Heritage Center has displays showing the evolution of missile and spacelift activity at the Base, as well as non-classified developments in military, commercial and scientific space endeavors. The last stop of the day was at the Working Dog Kennel. We were treated to a demonstration of how the working dogs are used to patrol the base and approach unauthorized persons on base. SSgt Angel Jones explained how the dogs are trained, their work and how they are retired. I learned so much more than I expected to learn during our topic day at Vandenberg,” said Heather Kunkle, Executive Assistant for Northern Santa Barbara County United Way and a member of Leadership Santa Maria Valley Class of 2019. 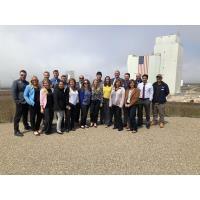 “Having worked on Base during the summer between my Junior and Senior years of college, I thought I had a pretty good understanding of the impact of Vandenberg on the local community, but, as you can guess, I was wrong,” Kunkle explained. Thank you to all the Airmen who led the tours in each section of the base, answered our many questions and showed us the passion they have to serve our country in the United States Air Force.